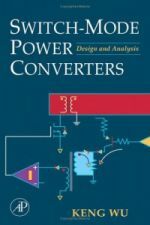 This book introduces an innovative, highly analytical approach to symbolic, closed-form solutions for switched-mode power converter circuits. This is a highly relevant topic to power electronics students and professionals who are involved in the design and analysis of electrical power converters. 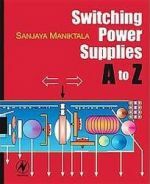 The author uses extensive equations to explain how solid-state switches convert electrical voltages from one level to another, so that electronic devices (e.g., audio speakers, CD players, DVD players, etc.) can use different voltages more effectively to perform their various functions. Most existing comparable books published as recently as 2002 do not discuss closed-loop operations, nor do they provide either DC closed-loop regulation equations or AC loop gain (stability) formulae. The author Wu, a leading engineer at Lockheed Martin, fills this gap and provides among the first descriptions of how error amplifiers are designed in conjunction with closed-loop bandwidth selection. 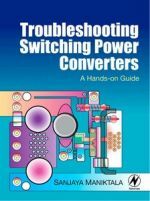 BENEFIT TO THE READER: Readers will gain a mathematically rigorous introduction to numerous, closed-form solutions that are readily applicable to the design and development of various switch-mode power converters. Power Supply design is all about detail. And a large part of that detail lies in the practical domain, largely because of the typically small number of microseconds of switching periods involved, and the even smaller tens of nanoseconds of switch transition times --- all these, in effect accentuating various "second-order" effects, that eventually end up playing prime havoc with "normal" expectations of how the circuit should behave. So not unsurprisingly, even after reading several books, most readers still find themselves no closer to the ultimate goal of designing an actual power supply. Sooner or later, all engineers start realizing the hard fact that designing a switching power supply isn't the trivial task it once seemed to be. But even after years of successfully mastering the underlying theory, the ultimate goal of creating a cost-effective, reliable and commercially viable power supply may still remain a distant dream, since success ultimately hinges on experience. Whether you are a dedicated audiophile who wants to gain a more complete understanding of the design issues behind a truly great amp, or a professional electronic designer seeking to learn more about the art of amplifier design, there can be no better place to start than with the 35 classic magazine articles collected together in this book. Douglas Self offers a tried and tested method for designing audio amplifiers in a way that improves performance at every point in the circuit where distortion can creep in – without significantly increasing cost. Through the articles in this book, he takes readers through the causes of distortion, measurement techniques, and design solutions to minimise distortion and efficiency. 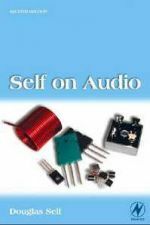 Most of the articles are based round the design of a specific amplifier, making this book especially valuable for anyone considering building a Self amplifier from scratch. Self is senior designer with a high-end audio manufacturer, as well as a prolific and highly respected writer. His career in audio design is reflected in the articles in this book, originally published in the pages of Electronics World and Wireless World over a 25 year period. The design of Switching Power Supplies has become one of the most crucial aspects of power electronics, particularly in the explosive market for portable devices. Unfortunately, this seemingly simple mechanism is actually one of the most complex and under-estimated processes in Power Electronics. Switching power conversion involves several engineering disciplines: Semiconductor Physics, Thermal Management, Control Loop theory, Magnetics etc, and all these come into play eventually, in ways hard for non-experts to grasp. This book grows out of decades of the author's experience designing commercial power supplies. Although his formal education was in physics, he learned the hard way what it took to succeed in designing power supplies for companies like Siemens and National Semiconductor. 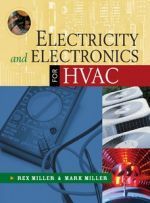 His passion for power supplies and his empathy for the practicing or aspiring power conversion engineer is evident on every page. 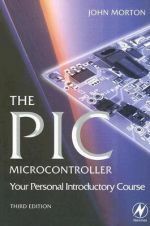 John Morton offers a uniquely concise and practical guide to getting up and running with the PIC Microcontroller. The PIC is one of the most popular of the microcontrollers that are transforming electronic project work and product design, and this book is the ideal introduction for students, teachers, technicians and electronics enthusiasts. Assuming no prior knowledge of microcontrollers and introducing the PIC Microcontroller's capabilities through simple projects, this book is ideal for electronics hobbyists, students, school pupils and technicians. The step-by-step explanations and the useful projects make it ideal for student and pupil self-study: this is not just a reference book - you start work with the PIC microcontroller straight away. The revised third edition focuses entirely on the re-programmable flash PIC microcontrollers such as the PIC16F54, PIC16F84 and the extraordinary 8-pin PIC12F508 and PIC12F675 devices. Авторы: Douglas Self, Julian Nathan, Ben Duncan, Chas Miller, Ian Sinclair и др. The operational amplifier ("op amp") is the most versatile and widely used type of analog IC, used in audio and voltage amplifiers, signal conditioners, signal converters, oscillators, and analog computing systems. 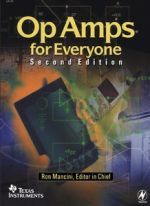 Almost every electronic device uses at least one op amp. This book is Texas Instruments' complete professional-level tutorial and reference to operational amplifier theory and applications. Among the topics covered are basic op amp physics (including reviews of current and voltage division, Thevenin's theorem, and transistor models), idealized op amp operation and configuration, feedback theory and methods, single and dual supply operation, understanding op amp parameters, minimizing noise in op amp circuits, and practical applications such as instrumentation amplifiers, signal conditioning, oscillators, active filters, load and level conversions, and analog computing. There is also extensive coverage of circuit construction techniques, including circuit board design, grounding, input and output isolation, using decoupling capacitors, and frequency characteristics of passive components. This is a readable introduction for those with little previous knowledge of the subject. The theme of amplification is central to many branches of electronics. Consequently there is a large and confusing array of amplifier types intended for a wide range of applications. 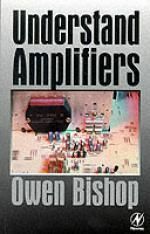 This book describes amplifier types, how they work, their properties, advantages and disadvantages, and applications. Amplifiers are treated with the minimum of mathematics and lots of illustrations. Owen Bishop is a prolific author of books for those interested in electronics, including experimenters, students and practising engineers. 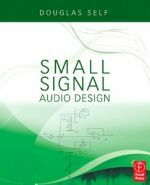 Small Signal Audio Design is a unique guide to the design of high-quality circuitry for preamplifiers, mixing consoles, and a host of other signal-processing devices. Learn to use inexpensive and readily available parts to obtain state-of-the-art performance in all the vital parameters of noise, distortion, crosstalk and so on. 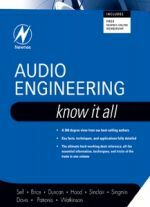 Focusing mainly on preamplifiers and mixers this practical handbook gives you an extensive repertoire of circuits that can be put together to make almost any type of audio system.